There we have it folks! Sweden is crowned the 2018 ice hockey champions once again after a very tight finals against Switzerland. This will be the 11th title for the Swedes after a well deserved high performance tournament which saw them win all 10 matches. Congratulations Sweden! We’ll see you back here again next year in May for the 2019 IIHF Ice Hockey World Championship. In a major upset to Canada, Switzerland stunned the heavily-favored team in a close 3-2 win to put them in the running for the gold. Just earlier, defending champions Sweden crushed the USA in a a major 6-0 victory to put them up against the underdog Swiss for the grand finale. 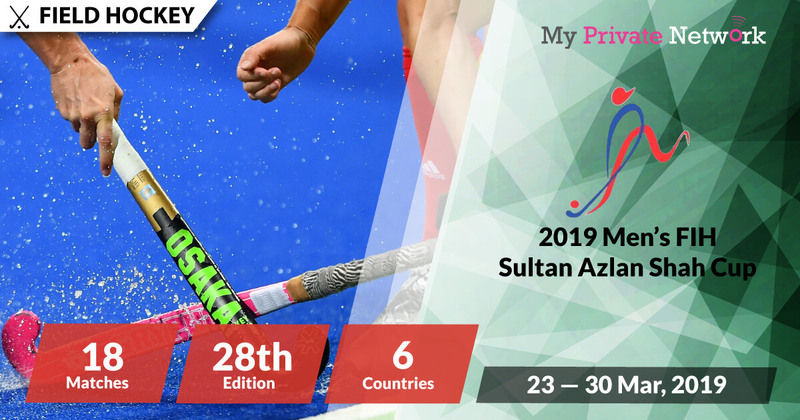 The bronze match begins today, on the 20th of May at 1345GMT with USA v. Canada and the grand finale at 1815GMT with Sweden v. Switzerland. The free stream is available via IIHF’s Youtube Channel or FreeSports (UK). Congratulations to the quarterfinalists! The semifinals begins on the 19th of May at 1315GMT with Sweden v. USA and 1715GMT with Canada v. Switzerland. Congratulations to the group qualifiers that secured a slot in the running for the championship trophy. The quarterfinals begins on the 17th of May at 1415GMT with USA v. Czech Republic and Russia v. Canada. Then at 1815GMT, we’ll see Sweden v. Latvia and Finland v. Switzerland. The puck is about to drop in Denmark for the most prestigious ice hockey tournament in the world which will also be the first time the nation is hosting the tournament. It will be played at the Royal Arena, Copenhagen and Jyske Bank Boxen, Herning with 64 games competed by the 16 best nations in ice hockey. Live Stream: Starting on 4 May (Friday) at 14:15GMT. Updated official pool standings from IIHF here. 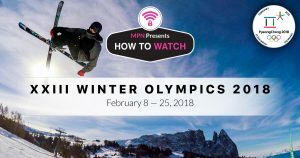 Broadcasting rights for the prestigious tournament is far reaching, and it’s duly noted that IIHF is also going to be providing free live streams of the matches via YouTube! However, if you’re currently in a geo-restricted country for the YouTube stream, then you’ll need to connect to our VPN first before attempting to stream. 2) Install our VPN on any device that you’ll be using to watch the 2018 Ice Hockey World Championship. 3) Connect to our UK (GBR) servers for FreeSport, Canada (CAN) for TSN, Germany (DEU) for RTL, Finland (FIN) for MTV3, or other European countries for Eurosport. Otherwise, to access the stream from IIHF’s YouTube Channel, you’ll have to check which country is available for the live stream videos. To do this, you can use the free tool from Polsy.org.uk and check restricted countries for YouTube videos – simply insert the YouTube video link from the list below and it’ll show you a list of countries that it is allowed in. Once you’ve located one closest to your current location, connect to the appropriate VPN server country and start watching the stream! Based on our own checks, it seems that the YouTube stream will only be available in Australia, Brazil, India, Italy, Mexico, Portugal, South Africa, the UK, and most of South East Asia. Click here to use Polsy’s YouTube restriction checker tool. 1) Head to the IIFH YouTube Channel or download the YouTube app on iOS or Android. Tip: Ice Hockey World Championship Finals will be airing live on 20 May 2018. Click on the links below for direct access to their live stream. Be sure to use the free Youtube restriction checker to see if it’s available in your country first. Watch the live stream of all tournament matches from FreeSports. It is currently available online via TVPlayer. Availability: UK only – Connect to our U.K (GBR) servers first before starting the stream! 1) Head to the TVPlayer website or download the TVPlayer app on iOS or Android. Note: Unfortunately after testing, TVPlayer for iOS and Android doesn’t seem to work with any VPN service as the app requires the GPS Location Services to be turned on to work. A VPN spoofs your IP address, but it does not spoof your GPS location. 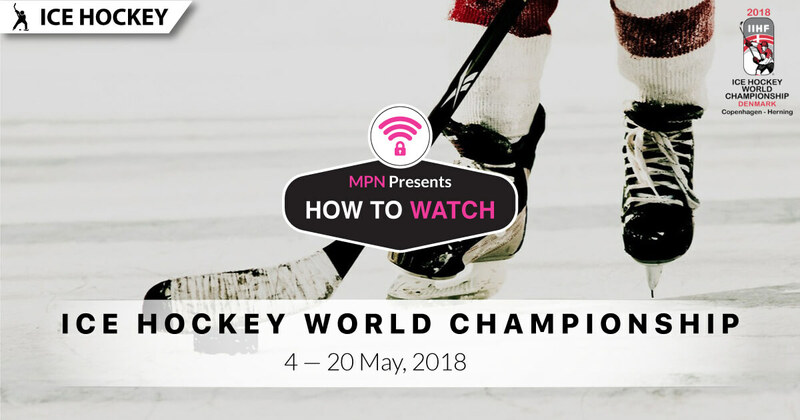 Tip: Ice Hockey World Championship Finals will be airing live on 20 May 2018. 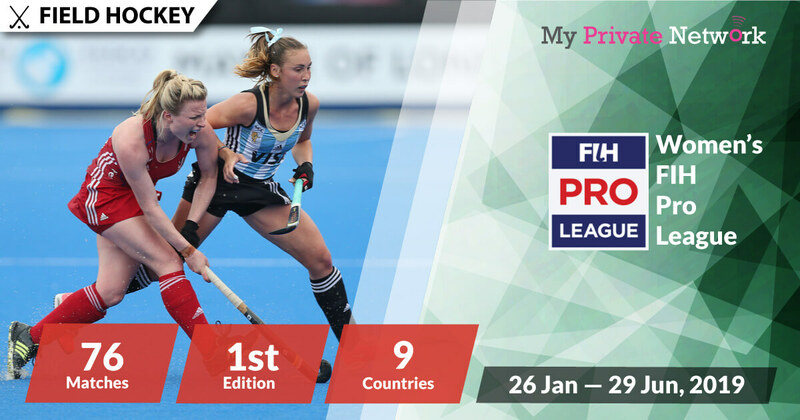 Click the link below at the match time for direct access to TVPlayer’s FreeSports channel. Watch the live stream of all tournament matches from Eurosport. You’ll need a Eurosport subscription to access them. Availability: UK, Germany, Finland, and Sweden only – Connect to our U.K (GBR), Germany (DEU), Finland (FIN), or Sweden (SWE) servers first before starting the stream! Tip: Ice Hockey World Championship will be airing live from 4 May 2018 on Eurosport 1. Watch the live stream of all tournament matches from TSN. However, you’ll need a paid subscription with them to access their content. Availability: Canada only – Connect to our Canada (CAN) servers first before starting the stream! Tip: Ice Hockey World Championship will be airing live from 4 May 2018 on TSN 1. Watch the live stream of all tournament matches from MTV3’s C More. However, you’ll need a paid subscription with them to access their content. Availability: Finland only – Connect to our Finland (FIN) servers first before starting the stream! 1) Sign in to your C More account. Tip: Ice Hockey World Championship will be airing live from 4 May 2018 on C More Sports. Watch the live stream of all tournament matches from RTL. However, you’ll need a paid subscription with them to access their content. Availability: Germany only – Connect to our Germany (DEU) servers first before starting the stream! 1) Sign in to your TV Now account. Tip: Ice Hockey World Championship will be airing live from 4 May 2018 on RTL.